Description: After playing with this energetic little walker, we can't decide whether it's cute or terrifying. Dagu's done it again with a robotics kit that's easy to assemble and fun to hack. 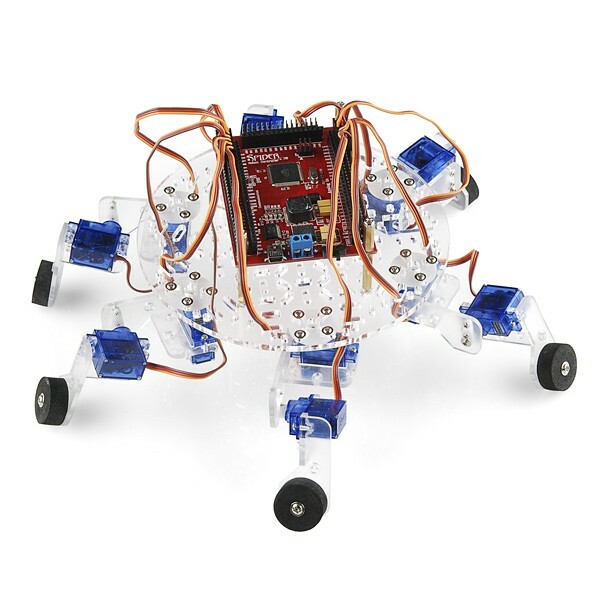 The 12-servo Hexapod Chassis Kit provides you with everything you need to give your robot 6 legs of terrifying cuteness. Simply supply a servo controller and some power and you're ready to go.